Leaving home for the first time to attend college is stressful enough. But when the roommate lottery of Paradise Valley University strikes, it produces couples who have absolutely nothing in common; causing personality clashes which takes the stress to a whole new level. Dismay hits Sidra Howard, the prim and proper princess, when she contemplates spending an entire semester with Chasity Parker, the troubled beauty with a sharp tongue and even sharper claws. Malajia Simmons, a boy crazed, attention seeking diva, is no happier. Not only does she get stuck with the upper bunk bed, she has to share a triple room with Alexandra Chisolm, a nosey and overbearing, self proclaimed "know-it-all". But even the meddling Alexandra isn’t as bad as Emily Harris, the shy, mommy’s girl with a non-existent backbone. 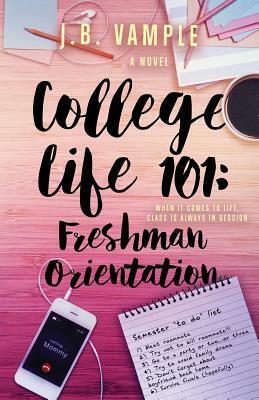 Tell us what do you think about College Life 101: Freshman Orientation (The College Life Series, Vol 1).